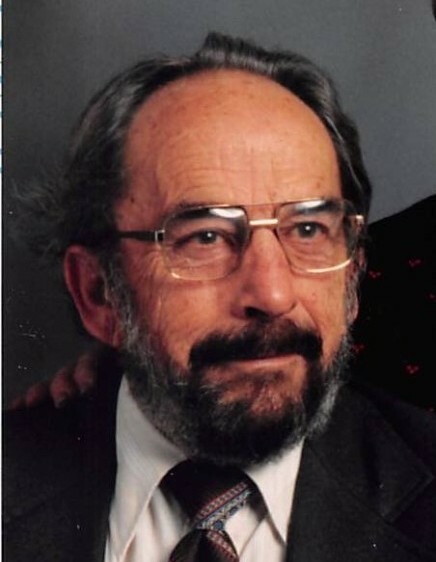 James L. Bowen, 83, of Wellsboro, passed away peacefully at home on Saturday, November 10, 2018. He was the husband of Janice (Strong) Bowen of Wellsboro and they shared 67 years of marriage together. He was born September 18, 1935 in Wellsboro, the son of the late Howard and Alberta (VanOrder) Bowen. Jim owned and operated his own farm and masonry business for over 25 years, prior to his retirement. He was a member of the You Climb Hunting Club and enjoyed being outdoors. He took great pride in family values and loved spending time with his grandchildren. Jim will be remembered by family and friends as a hardworking man with a great sense of humor. Left to cherish his memory are his loving wife, Janice, of Wellsboro; sons and daughters-in-law, Jerry & Susan Bowen and Jeffrey & Deborah Bowen, both of Wellsboro; daughter-in-law, Jeannette Knapp of Wellsboro; five grandchildren and eight great grandchildren; three step-grandchildren and five step-great grandchildren; several nieces & nephews; and many dear friends. In addition to his parents, Jim was preceded in death by his son, Jamie H. Bowen, and three siblings, Ransom, Gary and Nancy. In lieu of flowers, memorial contributions can be made to a local charity of the donor’s choosing. Family and friends are invited to pay their respects on Thursday, November 15, 2018, from 1-2 p.m. at Tussey-Mosher Funeral Home, Ltd., 139 Main Street, Wellsboro. Jim’s funeral service will immediately follow at 2:00 p.m., with Pastor Sandi Hemker officiating. Burial will take place in Tioga County Memorial Gardens. To share your fondest memories of Jim, please visit www.tusseymosher.com.